How To Give Effective Feedback to Language Learners? 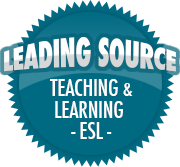 : An Example of Vygotskian Responsive Assistance | So, You Think You Can Teach ESL? This is excellent for finding ways to give effective feedback to your learners. Previously, I wrote a piece critical of what many EFL teachers might think is good advice for giving student feedback. I mentioned in that post that a more effective method would be Dynamic Assessment. This post then is a follow-up to that post. Here I detail what exactly DA is and then provide an extend example with data of what it looks like in action.